Pleasant Point Plantation's Waterfront Golf Community on Lady's Island is located only 15 min from the heart of downtown Beaufort. 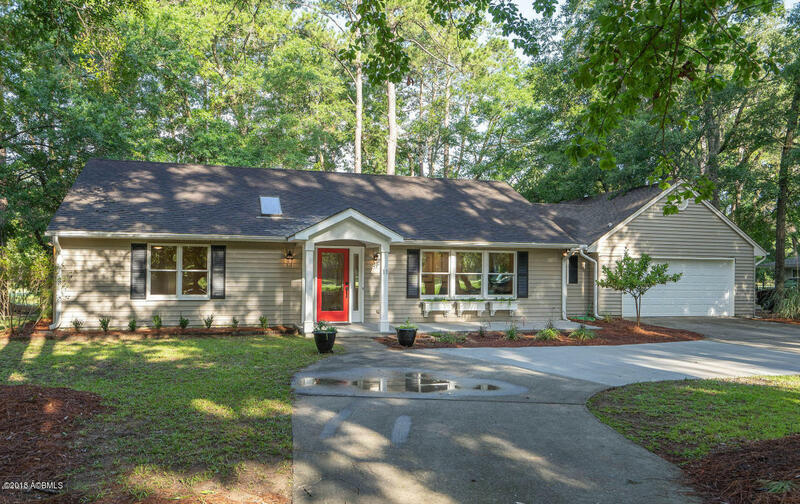 This 1952 sqft 3 br, 2.5 bath is tucked back on a quiet street with romantic, panoramic views of the golf course and features hardwood floors, new appliances, large laundry room, extra large rooms, new paint, new fixtures, new flooring in baths and mudroom, and is framed by a beautiful portico leading to your red door. Situated within easy strolling distance of Golf, community pool, tennis, and clubhouse which offers year round activities for families, retirees, and singles.